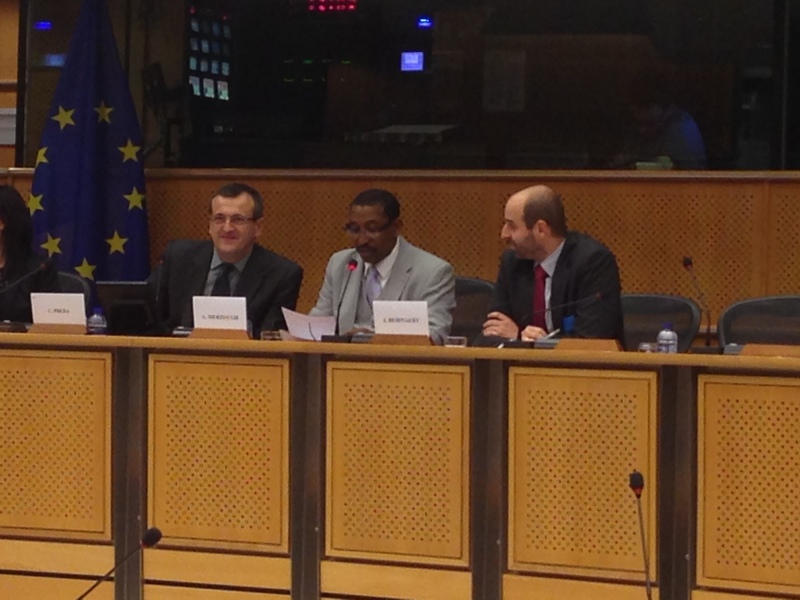 UNPO and IRA-Mauritanie were represented at the latest hearing of the European Parliament’s Subcommittee on Human Rights, which took place on Tuesday 1 December 2015 by Abidine Merzough, European Coordinator for IRA and lifelong anti-slavery activist. MEPs, ambassadors and NGOs gathered to hear evidence about Mauritania, a country which has been beset by problems of human rights violations, in particular slavery: at 4%, the proportion of its population currently enslaved is the highest in the world. Mr Merzough spoke about the hypocrisy with which the Mauritanian government responds to slavery; allowing the problem to go on unchecked and unacknowledged within Mauritania, while claiming in international forums that they are working hard to prevent it. He stressed that slave owners in Mauritania today in fact enjoy impunity, and called on the European Union to put pressure on the government to end this duplicitous approach and combat the problem in earnest. On the same day, the European Parliament was also the site for a major protest by Haratin groups, including IRA supporters, against the current state of affairs in Mauritania, marking a great step forward for the Haratin cause, as activists were able to raise their concerns and spread awareness of the problems in Mauritania both within the Parliament’s highest human rights body, and to the general public. Protestors gathered outside the Parliament in Place de Luxembourg, waving banners and chanting ‘Liberé Birama! Liberé Brahim! 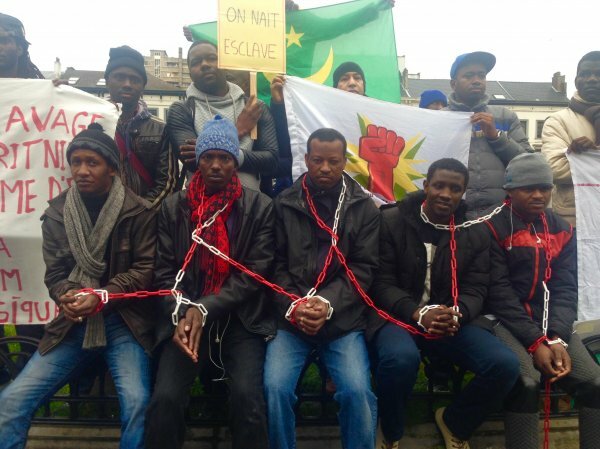 Liberé Djiby Sow!” in reference to the three prominent anti-slavery activists who have been imprisoned by the government of President Mohamed Ould Abdel Aziz since late 2014. Read the full transcript of Mr Merzough's speech here.